PHILADELPHIA – A single leukemia cell, unknowingly engineered with the leukemia-targeting chimeric antigen receptor (CAR) lentivirus and infused back into a patient, was able to reproduce and cause a deadly recurrence of B-cell acute lymphoblastic leukemia (ALL). New research from the Abramson Cancer Center of the University of Pennsylvania found that in one patient, the CAR lentivirus that would usually enter a T cell to teach it to hunt cancer also ended up binding with a leukemic cell. The presence of the CAR on the leukemic cell may have given that cell the ability to hide from the therapy by masking CD19, the protein that CARs target to kill cancer. Leukemic cells without CD19 are resistant to CAR T therapy, so this single cell led to the patient's relapse. Nature Medicine published the findings today. This study comes on the heels of another case which showed essentially the opposite situation – a patient went into remission thanks to a single CAR T cell that reproduced and fought off chronic lymphocytic leukemia (CLL). Further development of this type of T-cell therapy led to the approval of Kymriah (tisagenlecleucel, formerly CTL 019), the first therapy based on gene transfer approved by the U.S. Food and Drug Administration, in August 2017 for the treatment of relapsed or refractory pediatric and young adult patients with B-cell precursor ALL. 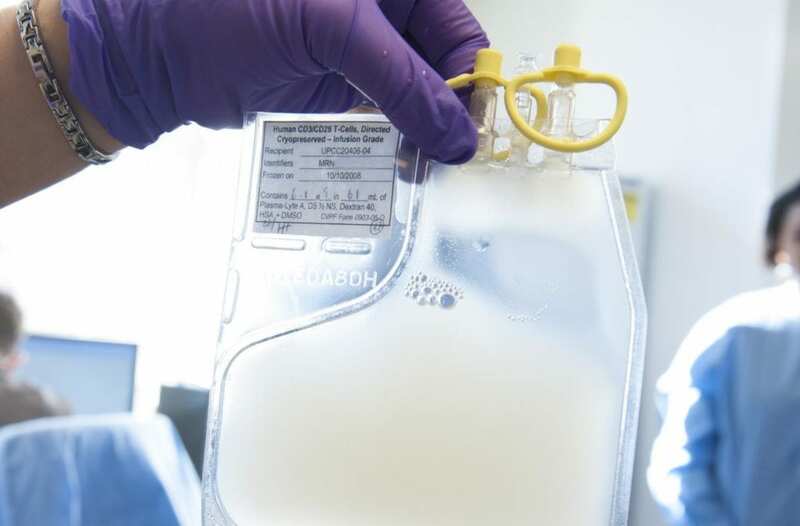 It is also approved for treatment of adult patients with relapsed or refractory diffuse large B-cell lymphoma (DLBCL) – the most common form of non-Hodgkin's lymphoma – as well as high grade B-cell lymphoma and DLBCL arising from follicular lymphoma.